Josiah is continuing to adjust to the many changes that happened to our family this year which included moving to Fort Wayne/Grabill/Gateway and becoming a big brother. Besides the terrible twos rearing their head from time to time, Josiah continues to be a smiley and (very) active toddler. 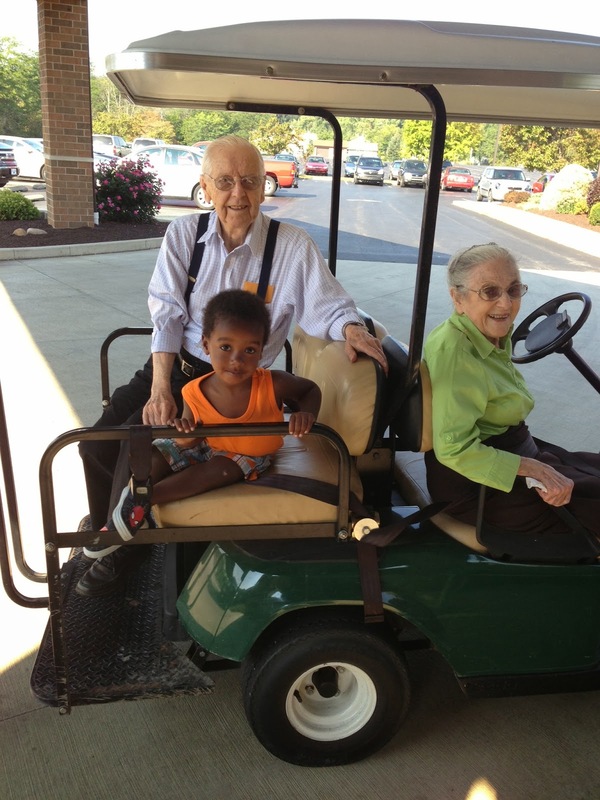 This summer he LOVED being outside and enjoyed having some kids close to his age as neighbors. He continues to love books, animals, Thomas the Train, and is borderline obsessed with Curious George. Being that we are alternate houseparents at Hickory House, which is an all girls house, Josiah gets LOTS of attention. 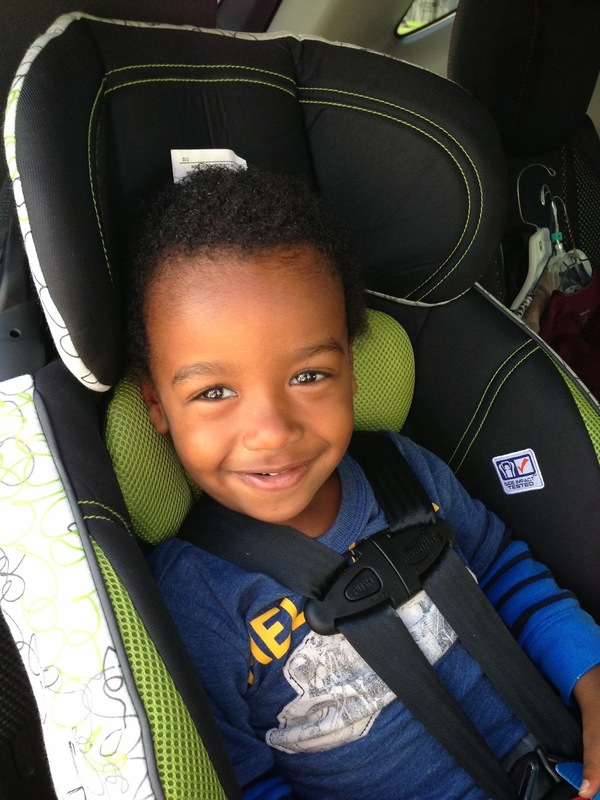 Josiah also started speech therapy with First Steps this fall and is currently being seen once a month for this. We are slowly seeing improvement and are hoping his therapist will become more available to work with him more often this winter/spring. Jon and I are learning the blessings and challenges of working as a family at Gateway Woods. There has been so much learned and we are thankful for our growth in our marriage, family, and alternate houseparents position; yet there are also times of discouragement and feeling defeated. We are thankful for those of you who are praying for our family. Lastly, thanks to a handy little app I recently downloaded, I put together a little something to introduce Jude London to everyone. Born on October 27th, he's been a tremendous blessing to our family. Josiah on his beloved strider bike. Enjoying the zoo with Jayla. Josiah loved the rides at Grabill days. Me "playing" with Josiah (aka waddling slowly behind) at the park. Jon's hard work paid off at our Grabill house. Josiah all ready to go in the Hickory house van affectionately named "The Pickle." Josiah getting a golf cart ride with G&G Ringger. Josiah happy to be going home with Grandma Dotterer when I went into labor. Josiah enjoying the first snow at Gateway. 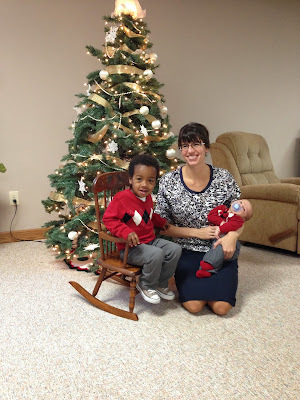 Me and my boys in their matching Christmas sweaters from Grandma Dotterer.